It took forever and four days, but we’re finally basking in the summer sun. And, along with all the yummy, blissful tastes, smells, sounds, events, and stuff of the season, comes the need to save our skin from the sun’s often harmful rays. If you’ve noticed how much makeup now comes with SPF as an added perk, you might wonder if you can just go with that. Technically speaking, the sunscreen built into makeup is the same as regular sunscreen. But there’s a caveat: According to the American Academy of Dermatology, most people apply, at best, half of the recommended amount of regular sunscreen. So the odds of any of us using makeup in sufficient quantity—unless Kylie J. is reading this—to effectively sub for a separate facial sunscreen are slim. “The SPF value depends on putting on a generous coat. Often, people who use tinted moisturizers are specifically looking for light coverage,” Manhattan-based dermatologist Estee Williams, MD told Beauty News NYC. It would defeat the purpose of a tinted moisturizer to slather it on. In this scenario, you may get about half of the SPF on the label, says Dr. Williams. But that said, if you doubt your resolve to religiously apply sunscreen to your face, even on days you’re not hitting the beach, SPF in your makeup is worlds better than nothing. And if you are a 365 sunscreen wearer (good for you! ), then makeup with SPF is the frosting on the cupcake: That’s never a bad thing. When checking out foundations, powders, concealers, or any cosmetic with SPF, go towards those with a broad spectrum sunscreen to protect again both UVA and UVB rays — they each deliver their own brand of nasty to your skin. The SPF rating should be at least 15. “The SPF value refers to how well the product protects against Ultraviolet-B damage only, and not the deep-diving, free-radical forming Ultraviolet-A (UVA). Chronic UVA damage causes wrinkles and melanoma,” explains Dr. Williams. We scoured the market, and came up with our short list of some of the best bets for makeup with SPF. This silky, oil-free primer extends the staying power of your foundation. But it can be worn on its own for the perfect no-makeup-makeup summer look. 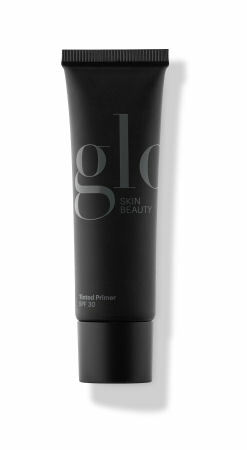 Grab it at Gloskinbeauty.com. For a translucent, glowy look, this hydrating lotion is just the thing. It’s infused with White Flower Water to soothe sensitive skin while hydrating. It’s on Amazon.com. Semi-matte to minimize pores and fine lines, this beautiful base comes in 24 shades so it’s a cinch to find the ideal one for you. Plus it’s water resistant for up to 40 minutes — in case you decide to take a quick dip. Look for it at janeiredale.com. This gossamer-like cover-up feels like…well, like nothing… yet gives you serious coverage. 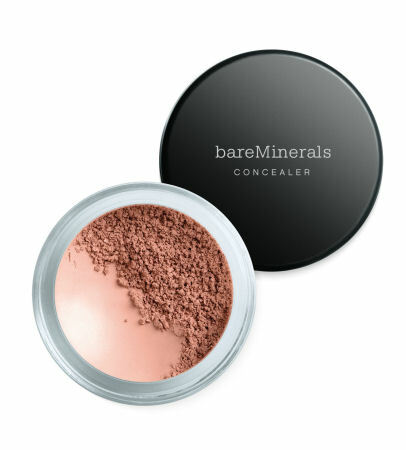 Pick up this loose-powder concealer at bareMinerals.com. 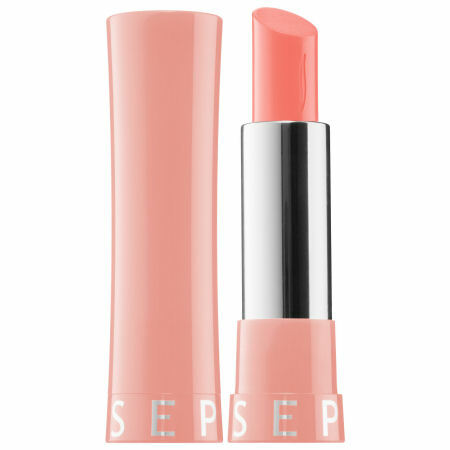 Lips have essentially no melanin, so your pout needs to be extra carefully shielded from the sun. A waxy-smooth finish, like this balm boasts, is a better bet than shiny lip products that draw the sun’s rays. Scoop it up at Sephora.com or a Sephora store. Try this creamy cover-up with an opaque finish, which will keep you looking bright-eyed through a whole day’s summer adventure. 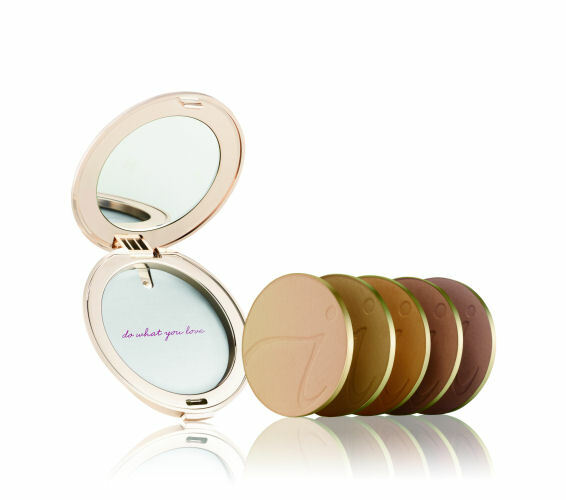 The teeny compact is perfect for traveling, too. 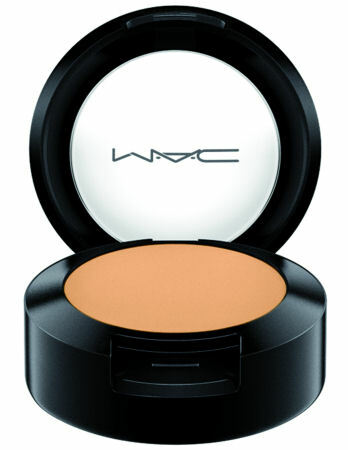 It’s at MacCosmetics.com and MAC stores.